Club 100 Trainer, Tara Wallace of Splie Fitness, recently attended a 3 day Fitness Conference in San Francisco. Each week this month, Tara will share one trend with us and the ways we can incorporate new approaches to fitness in our own lives. Check out Tara’s Trend #1 from last week on CONNECTION, here. It’s time to take it back to the basics and simplify our movements. People get bored, trainers get bored, so what happens? Trainers have over complicated the movements and the classes. And because of this, people are getting hurt. Keep it simple. Bring it back to the basics. Focus on simple, but strong moves. Put the focus back on performance and a better quality of movement. Take the focus off of burning calories and put the focus on just doing the moves right. Look in the mirror. That’s who you’re competing with. Strength training is not about how much you lift!!! It’s about HOW you lift. Focus on form and quality of your movement. 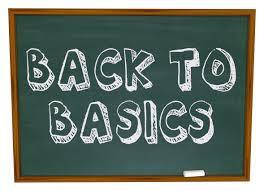 If you have concerns with getting on a ‘Back to Basics’ routine, consider hiring a Personal Trainer. Choose simple exercises, but do them well. * For more information on Training with Tara Wallace or Tahoe Club 100’s other talented personal trainers, please click here.